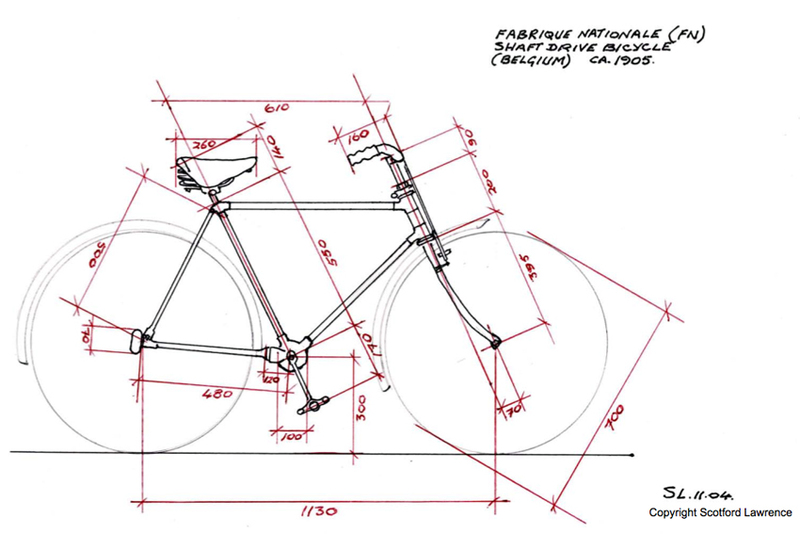 A chainless bicycle is certainly a benign piece of equipment. 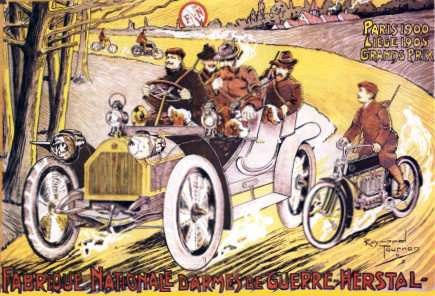 But prior to making bicycles, Fabrique Nationale d’Armes de Guerre had a similar history to that of the British BSA company: both were created by an alliance of local arms manufacturers and became the main supplier to their own government. The German company Ludwig Lowe & Co, which manufactured the Mauser rifle, bought into the Fabrique Nationale company in 1889 (with 50% ownership) and FN made the Mauser rifle used by the German army. An FN gun also triggered the First World War! The company produced the first Browning semi-automatic pistol in 1899. The final version with a shorter barrel, Model 1900 or M1900, was adopted by the Belgian army. The weapon used by Gavrilo Princip to assassinate Franz Ferdinand of Austria in 1914 was its successor, a Browning 9mm 1910 Court No. 19074. (Also known as 9mm Short, 9mm Corto, 9mm Kurz, etc depending on language). The British War Office approved designs for military bicycles and, during WW1, were supplied by BSA, Phillips, Royal Enfield, Sunbeam, Raleigh and others. The French and Italian armies had their special folding military cycles too. 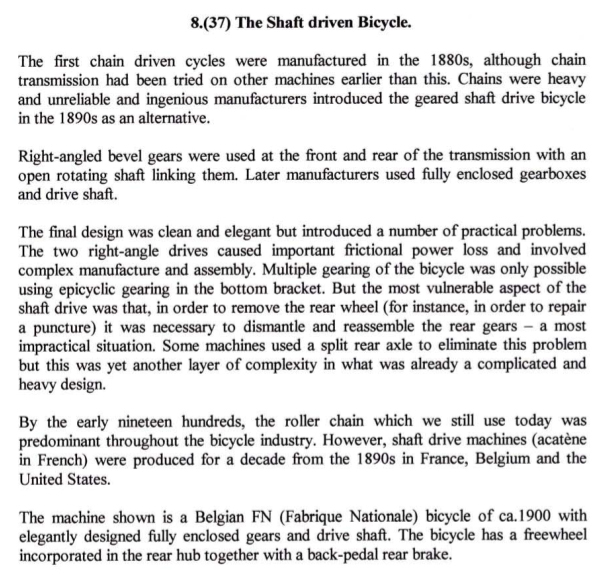 But FN-Herstal did not make a designated military bicycle, and the Belgian military used some Captain Gerards as well as normal roadster bicycles. As FN-Herstal was one of the world’s leading arms manufacturers, as well as a major Belgian bicycle manufacturer, you’d think that FN bicycles would have been used by that country’s military. But Fabrique Nationale was already German-owned before WW1, and during the hostilities the factory was turned over to military production. This FN Chainless is the earliest example of the model I’ve encountered. It was restored in France, and is ready to ride. An order from the Belgian Army in 1887 for 150,000 repeating rifles encouraged Les Fabricants d’Armes Réunis to begin planning a new, large scale factory, and in 1888 the group created a new company, Fabrique Nationale d’Armes de Guerre. The new factory was built in Herstal, and in 1889 the company launched production of the Belgian army order, producing Mauser-designed rifles under license. The German company Ludwig Lowe & Co, which owned Mauser, and was based in Germany, then bought up the company from its founders. Annam – today the central region of modern Vietnam – became a French protectorate when seized by the French in 1874, becoming part of French Indochina in 1887. Other French areas were Tonkin, the region surrounding Hanoi; and Cochinchina, the southern delta region. The Annam capital was Hue. Emperor Thanh Thai was a ten-year-old boy plucked from poverty to become emperor in 1889. He ruled until 1907. He plotted, unsuccessfully, to overthrow colonial rule. He also often secretly left the palace is disguise to talk to his subjects, and was the first Annamese monarch to drive a car. His chainless bicycle, described in magazine articles of early 1898, would have been one of the first to go on the market. With French influence, it might be a French Metropole Acatene, although it looks a lot like the 1898 FN featured here.